Big data has been much ballyhooed as the cure for many problems. However, when you look at the definition, the term data is simply “factual information (such as measurements or statistics) used as a basis for reasoning, discussion, or calculation” according to Merriam-Webster dictionary. Big data is static unless you have a way to process, analyze and apply it to your operations. And another challenge is that the information often resides in separate departments and is not often combined to provide a holistic view of operations and results. This is where systems integration becomes vital because it creates the needed communications bridge between these departmental silos allowing for data transmission to the proper analysis tools, or even offers micro computing at the source. Customized data exchanges and APIs help devices, software and systems connect regardless of their legacy or cutting-edge status. This synchronization helps get the decision-making data to staff when they need it within the right context. This is The New How of the connected economy. Yet, it’s a struggle. When you reach this point, companies often consider the decision matrix of quality, schedule and budget. Your team is well-versed in managing and tweaking your legacy, enterprise and off-the-shelf systems. However, it could take them valuable time to develop the necessary programming. Important information could be lost or key actions left un-triggered as a result. 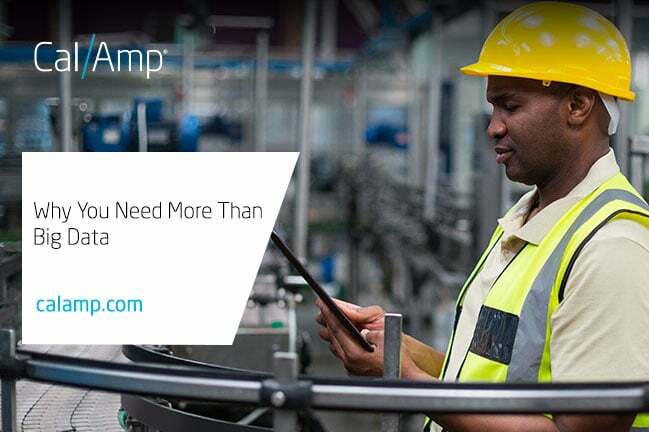 Your other option is to bring in reinforcements, a team of experienced consultants, such as CalAmp’s Professional Services, to help you seamlessly integrate the new with the existing frameworks. These outside eyes evaluate and recommend other synergies and data sources when reviewing your systems holistically. As a result, you may gain a greater ROI on your IoT investment in addition to the expected advantage of access to real-time data and communications. Don’t let your big data sit unused. With systems integration, you can unlock actionable business intelligence, whether at the edge, in the cloud or on your desktop. If you would like to learn about all of CalAmp’s Professional Services, please visit us here.